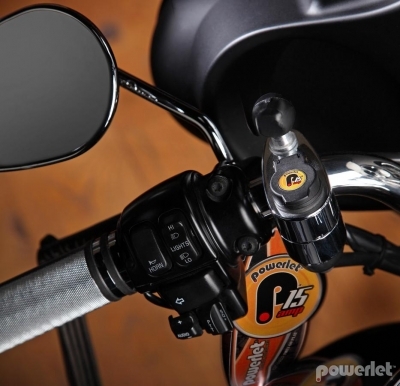 Provides a convenient Powerlet® outlet on any round handlebar or frame member. Simple bolt on installation. Common applications: heated clothing, battery charging, powering Luggage Electrix™, inflating tires, etc.